INFRAMAT® CORPORATION MOVES OPERATIONS TO ACCOMMODATE RAPID GLOBAL EXPANSION OF THERMAL SPRAY FEEDSTOCK PRODUCTS, ADVANCED MATERIALS AND SOLUTION PLASMA SPRAY (SPS™) DELIVERY SYSTEMS. Manchester, CT, January 8, 2010, Inframat® Corporation today announced the relocation of its world headquarters to Manchester, Connecticut. The new facility allows for continued expansion of feedstock, advanced materials and delivery system production along with R&D activities. The expansion will allow Inframat to meet the increasing demand for superfine/nano grained thermal spray feedstocks. “Despite the economy, we continue to experience significant long-term growth of our business, including products in a diverse range of industries ranging from oil & gas to aerospace to medical devices. This move will allow us to expand our product lines as well as develop new superfine/nano-grained products” said Robert Lee, President and CEO. “This move will significantly enhance Inframat’s capability of delivering high quality R&D service & products to the US government and our commercial customers on time.” said Dr. Danny Xiao, Chairman and CTO. The new Manchester facility is approximately 18,000 SF and houses production, R&D and pilot plant, sales and support functions. The new layout adds efficiencies which will reduce the time required to bring new products to market. Customer response has been very positive. “We are pleased to learn about Inframat’s expansion and are looking forward to continued excellence in your products” said Scott Spruce, VP of Operations, Thermal Spray Solutions, Chesapeake, VA.
Inframat® Corporation is a leading manufacturer of superfine/nano grained thermal spray feedstocks (powder and wire) and Solution Plasma Spray (SPS™) delivery systems. Primary lines include Infralloy™ WC/Co, NiCr/Cr3C2 along with Nanox® alumina, zirconia and titania ceramic powder products. Dr. T. Ramasani (Secy to the Government of India, Dept. Sci & Tech) and Dr. G. Sundararajan ( Dir. ARCI) listen to Dr. David Reisner at the ARCI-Inframat SPPS Centre Inaugural Ceremony on January 17, 2009 in Hyderabad. Dr. T. Ramasani (Secy to the Government of India, Dept. 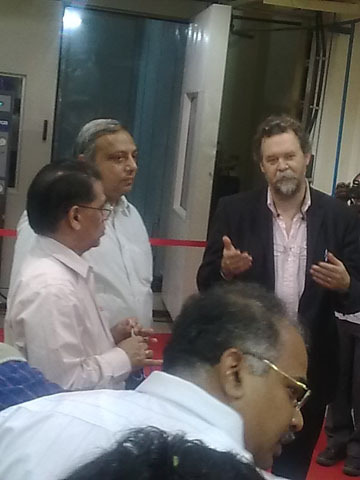 Sci & Tech), Dr. David Reisner and D. Srinivasa Rao (Team Leader, Centre for Engineered Coatings, ARCI) listen to Dr. G. Sundararajan ( Dir. 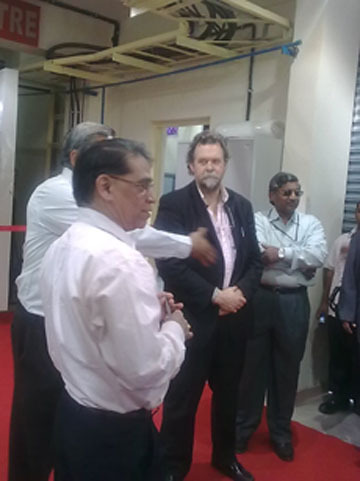 ARCI) at the ARCI-Inframat SPPS Centre Inaugural Ceremony on January 17, 2009 in Hyderabad. 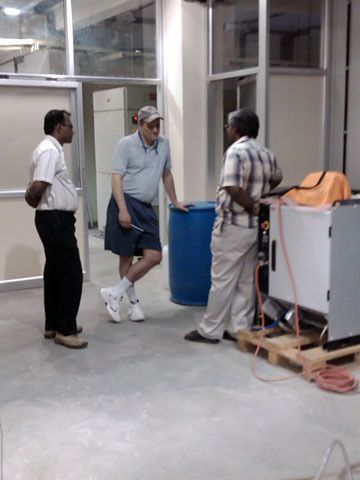 Jeff Roth chats with G. Siva Kumar and D. Srinivasa Rao at the ARCI-Inframat SPPS Centre in Hyderabad, India. ARCI is the International Advanced Research Centre for Powder Metallurgy & New Materials. Under license from Inframat, they have a mission to commercialize the SPPS technology through their vast industrial network in India. Dr. T. Ramasani (Secy to the Government of India, Dept. 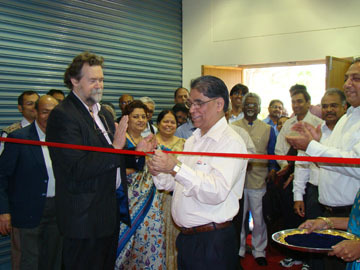 Sci & Tech) cuts the ribbon at the ARCI-Inframat SPPS Centre Inaugural Ceremony on January 17, 2009 in Hyderabad.